Italy, a country in South-Central Europe bordered by France, Switzerland, Austria, Slovenia, and the Mediterranean Sea has a total land area of 116,346 square miles and a population of over 60.41 million. 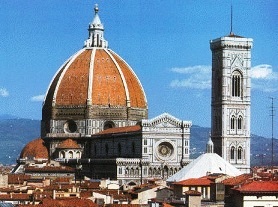 Italy, the birthplace of Renaissance, is a developed country with a very high standard of living. The country is very committed to the Green movement with 5% of its terrain committed to National Parks. It is a leading producer of renewable energy – solar and wind. The major economic sectors are automobile (luxury and commercial), industrial, engineering, defense, fashion, wine and food processing, architecture, appliance, furniture, and tourism. The best time to visit Italy is from May through October though it is at its finest in June, July and August. The popular attractions are the Colosseum, Pompeii ruins, Leaning Tower of Pisa, cities of Rome, Milan, Florence, Naples, and Venice. Italy has a medley of attractions for its visitors – museums, palaces, religious monuments, wine and cheese tours, ruins and exceptional architecture. Cuisine is still heavily based on locally grown produce and wine and cheese. The famous dishes are pizza, pasta, lasagna, and gelato accompanied by coffee. Italy Eyewitness Travel Guide 978-0756669386 $20 Excellent overall presentation. The coverage of sights is outstanding. It lacks information on how to get from place to place and budget restaurant and hotel listings. The Rick Steves’ book is excellent in those regards. Rick Steves’ Italy 2011 with Map 978-1598806601 $15 Great coverage and excellent tips! Michelin Map Italy 978-2067123113 $10 Driver’s map at 1:1,000,000 including driving times and distances. Streetwise Rome Map 978-1931257022 $9 Laminated. Main Rome Map at 1:17,000, Rome Historic District Map at 1:8,700, and Rome Metro Map. The first stamps of Italy were released in 1862 depicting King Victor Emmanuel II. The set (Scott #17 to #21) is very rare with 10c bister, the rarest in the set cataloging for around $5.6K mint. They feature a striking Head Embossed design. King Victor Emmanuel II was the first King of Italy from 1861 to 1878. Before unification of Italy, he was the King of Piedmont, Savoy, and Sardinia from 1849 to 1861. This issue was followed by a number of issues in the same theme and some overprints and surcharges until 1878. The first set in the King Humbert I theme was released in 1879. King Humbert I was the second King of Italy from 1878 to 1900. He was assassinated by an anarchist as a revenge for the Bava-Beccaris massacre (a repression of widespread riots in Milan) of 1898. Italy released a set of six stamps in 1891 in the Arms of Savoy and King Humbert I theme. The set (Scott #67 to #72) catalogs for around $70 mint and around double that for used. The arms depicted are of the House of Savoy. House of Savoy was a commune from the Savoy region who started out ruling a small area in the early 11th century to eventually rule as Kings of Italy from 1861 to 1946. Victor Emmanuel III was King of Italy from 1900 to 1946. Italy released a long set of sixteen stamps between 1901 and 1926 showing the Coat of Arms and a portrait of Victor Emmanuel III. The set (Scott #76 to #91) is sought after and catalogs for around $1500 mint and around $40 used. His reign encompassed the rise and fall of Italian Fascism under Mussolini. Italy became a republic soon after his reign. Italy released a set of six stamps on October 24, 1923 for the anniversary of the March on Rome. March on Rome was a march by Italian dictator Mussolini’s National Fascist Party through which he came to power. The set (Scott #159 to #164) catalogs for around $90 mint or used. The designs show emblem of the New Government, Wreath of Victory of Eagle and Fasces, and the symbolical of Fascism and Italy. A set of nine stamps released on May 23, 1934 to mark the 2nd FIFA World Cup Soccer Championship. The set (Scott #324 to #328) catalogs for around $340 MNH and around $600 used. The designs show allegories showing players in action. The event took place in Italy from May 27 to June 10 1934. Italy was the champions of that World Cup. A set of thirteen stamps released on May 3, 1948 to mark the centenary of revolution that led to Italian unification. The set (Scott #495 to #506) catalogs for around $400 MNH and $30 used. The designs show revolutionary scenes: uprising at Palermo, rebellion at Padua, proclamation of Statue at Turin, Five Days of Milan, Daniele Manin proclaiming the Republic of Venice, Defense of Vicenza, Battle of Curtatone, Battle of Gioto, Insurrection at Bologna, Ten Days of Brescia, Garibaldi in Rome fighting, and Death of Goffredo Mameli. A set of three stamps released in April of 1961 to mark the visit of President Gronchi to South America. The set (Scott #832 to #834) catalogs for around $18 MNH or used. The designs show the route of flight from Italy to Argentina, Italy to Uruguay, and Italy to Peru. There is a variety (#834a) with the map of Peru drawn incorrectly. It was withdrawn soon after and so is very rare cataloging for around $1650. A long set of twenty four stamps released on September 22, 1980 in the Castles theme. The set (Scott #1408 to #1431) catalogs for around $10 MNH and around $5 used. The designs show Saint Angelo Castle in Rome, Sforzesco in Milan, Del Monte in Andria, Ursino in Catania, Rocca di Calascio, Norman Towner at Saint Mauro Fort, Isola Capo Rizzuto, Aragonese in Ischia, Estense in Ferrara, Miramare in Trieste, Ostia in Rome, Gavone in Savona, Cerro al Volturno in Isernia, Rocca di Mondavio, Bari Svevo, Caltanissetta in Mussomeli, Imperatore-Prato in Florence, Bosa in Nuoro, Rovereto in Trento, Scaligero in Sirmione, Ivrea in Turin, Rocca Maggiore in Assissi, Saint Pierre in Aosta, and Montaganana in Padua. A set of four stamps released on April 18, 1998 in the Tourism theme. The set (Scott #2204 to #2207) catalogs for around $5 MNH and $2 used. The designs show Castle of Otranto, Mori Fountain and Castle of Marino, Village and Chapel in Livigno, and Marciana Marina in Elba Island. The Castle of Otranto considered as the first gothic novel was inspired by the castle depicted in this set. Livigno is a village in the Alps with a breathtaking view of the mountains and valleys. Tourists are also attracted by its duty-free status. First coins of Italy were introduced prior to the Roman period during the period (700BC to 1BC) of the Etruscan Civilization. Usage of coins became widespread in Italy during the Roman period. There is a large supply of Roman coins for numismatists although Roman gold coins are quite rare. The middle ages saw florins with very minor design changes dominating the scene for around three centuries starting in the mid-thirteenth century. Coinage of the Kingdoms and States were in use in present-day Italy during the period till the mid-nineteenth century. Lira (100 Centesimo = 1 Lira) was introduced as the denomination of new coinage in 1861. Ancient Coins $20 and up Rome Senate Holy Face Issues, Local issues from the 14th century, etc starts around $20. Sicily Frederick II Denars from the 13th Century, Silver Luiginis from the 17th century, etc starts around $50. Coins prior to the first century, Silver Didrachms of Neapolis, etc go well into the 100s. Silver Coins from the 4th century BC and prior dates go into the 1000s. Other Coins $1 and up Common UNCs from the 1970s onward starts around $1. 19th century Copper-Nickel Centesimis in VF start around $10. 19th century and prior silver coins in XF, Gold Coins, Official Proof Sets etc go into the 100s and 1000s. Exonumia $20 and up Unification Medals from the late 19th century and early 20th century start around $20. Artistic Exposition Medals, Papal Medals, etc go into the 100s. Paper Money $3 and up Common Banknotes in UNC starts around $3. Large notes from the 1930s and 1940s in VF starts around $20. UNCs from the period, bundles, etc go into the 100s. Fancy Numbers, Rare Dates, and High Value Bundles go well into the 100s and 1000s. Typical souvenirs of the place are cheese, chocolate, religious, architecture/ruins, art by local artists, Murano glass works and leather items. Decorative Collectibles $10 and up Handmade Ceramic Teapots start around $10. Signed Curios, Figurines, Statues etc by Ferrandiz, Joseph Kneeling, Fontanini, etc start around $30. Wall-handing tapestries showing local scenes, Santini sculptures etc start in the 50s. Ferrandiz signed, Armani, and certain Walt Disney Figurines, Murano vases etc start around $100 and go well into the 1000s. Militaria $10 and up Patches, dog tags, original WW photos, etc start around $10. Commando medals WW2 Fascist Badges, Valor Medals, etc start around $40. Order of Merit medals, WW Swords and Knifes, WW Airplane models, etc start around $100. Pottery and Glass $10 and up Caleca pasta bowls, Majolica Pottery, Art Glass stems etc start around $10. Art glass sculptures, Cristalleria Fumo Wine Glasses etc start in the 50s. Alfraedo Santarelli bowls, Millifiore Decanters, Filigrano vases, Giovanni Desimone Wall Panels, Mollica Brothers Lamps, etc start well in the 100s and go into the 1000s. Antiques $10 and up 19th century maps start around $10. Vintage Art Pottery Jugs, Alessi Coppola Bowls etc start around $50. 17th century original historic documents and maps start around $100. Art $10 and up Early 20th century posters start around $10. 19th century antique prints showing local scenes start around $50. Original Works by Howard Behren, Zazenski, Guido Odiema, Carlo Montesi, Ruth Kerkovius, Frank Webb, Luciano Minguzzi, Hubert Valerio, Elias Rivera, Joel Roman, etc start well into the 100s and 1000s.